When it comes to moving house there are a few ways to go about this and man with van packages from Removal To are a great option. One has the option of having someone do all the work for you, when you decide to use a man and van service, and the other is to do the work all by yourself. The first option is by far the better way to do this, with a simple call to 020 8746 4418. The latter one is probably what most people opt for, as this way they think they are saving money, by not making use of a moving company. 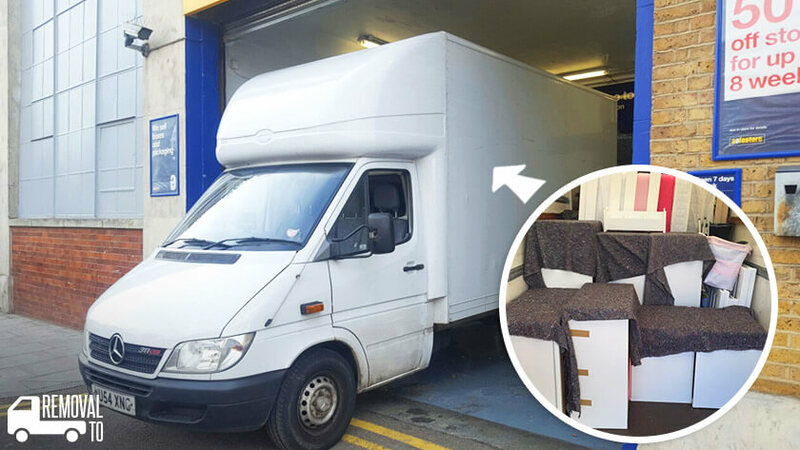 The truth of the matter is that you are only saving a very small amount if you move by yourself, whereas if you spend just a small amount more you could get man with a van removal services and move in a far more relaxed fashion. For the many people who want to do the removal by themselves there is a lot of work that lies ahead of them in order to undergo removal services. One has to track down some boxes of sorts in the first place. You will probably be able to find these at your local supermarket but will have to build them up with tape. They will not be of very good quality, so you will not be able to put much into them. This means that you will require quite a lot of them, you will need movers too. Once you have packaged all the goods in the house and it is time to move, you would have to go out and hire a van from our removal company. There are many such places and you would be able to choose the best moving company for the job. If you are unable to drive such a van yourself, you would have to hire some movers to do the driving for you. Prices for such removal rentals vary from place to place and they can range from a price per day to a daily fee plus a certain amount according to the mileage you have travelled. You would have to find out which one is the least expensive. There are usually a variety of vans available for this type of job from our removal company. There are bigger ones available and then there are the smaller ones for the smaller move. If you are doing house removals, you would be better off with a big one. On the day of the big move, you would have to go to the man with a van depot to collect the vehicle. You would have to hire some labor for the day, if you did not have a moving company to help you do the heavy work. Then you would have to plan the way in which you would load the van so that there was some practicality when you go to the new location. One would have to move the big furniture and appliances first so that most of the heavy work was done in the early part of the day. The smaller containers would have to be moved after this. Due to the fact that you will have many such containers, you will probably have to make quite a few trips to move these, so a full day man and van solution may be best. You would probably have to fill the van a couple of times due to the numerous trips for the house removals. At the end of the day when one looks back in retrospect at the day gone by, you would probably see that had you have had a removal company do the work for you, it would have gone far faster and you would have had to exert a lot less effort. That is why you should just contact Removal To and order a man with van package.